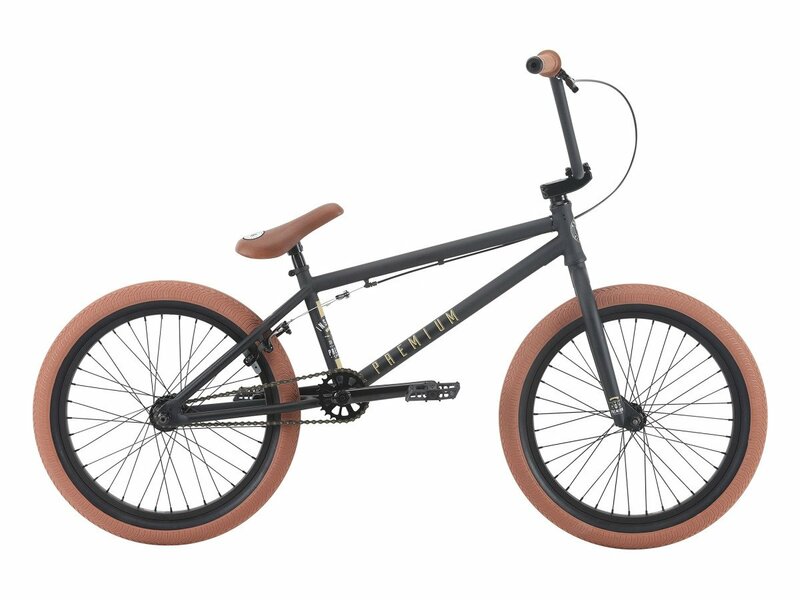 This Premium "Inspired" 2018 BMX Bike - Matte Black is a low cost entry level BMX complete bike with 20" inch wheels and a frame with 20.5" inch long top tube which is aimed to young riders with a body hight of approx. 1,65m - 1,75m. Here you already get a frame with integrated headset (sealed bearing) and Mid BB (sealed bearing) which is today's standard on modern BMX frames and which makes installation, adjustment and maintance easy. Despite its low price the Premium "Inspired" 2018 BMX Bike - Matte Black has all you do expect from a modern equipped entry level BMX bike. It is equipped with a 3-pc. CrMo crank set, a cassette hub with 14mm CrMo axle, 2.4" inch wide Premium "CK" tires and a rear U-brake and offers starters a great possibility to enter the BMX sport. BMX Bar: Premium, 1020 HiTen, 2-pc.